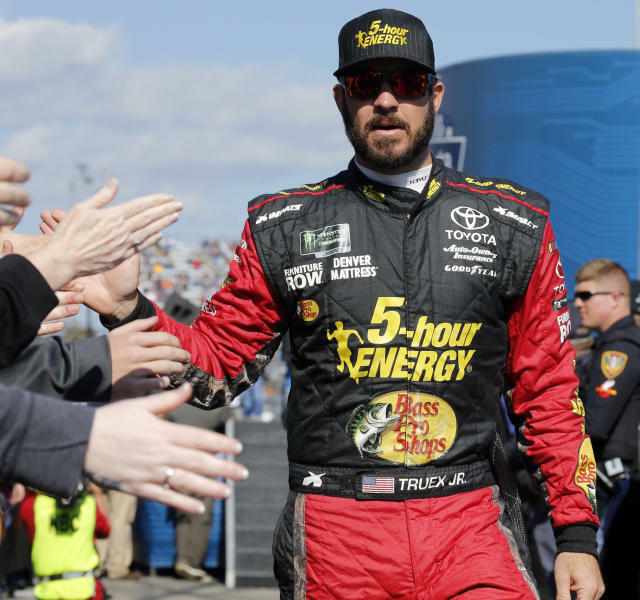 CHARLOTTE, N.C. (AP) — NASCAR champion Martin Truex Jr. and his crew chief will move to Joe Gibbs Racing next season to remain in the Toyota organization after their race team folds in two weeks. Truex will replace Daniel Suarez as driver of the No. 19 team. Sponsorship was not announced. "Anytime you have an opportunity to bring two people of this caliber into your organization, it's certainly an exciting time," said team owner Joe Gibbs. "They obviously have developed a chemistry that has led to tremendous success, including a championship. We've gotten to know them well over the past few years through the alliance and having been part of the Toyota family. They both make us stronger as an organization." Truex has 19 Cup victories, including a career-high eight victories in last year's championship season. 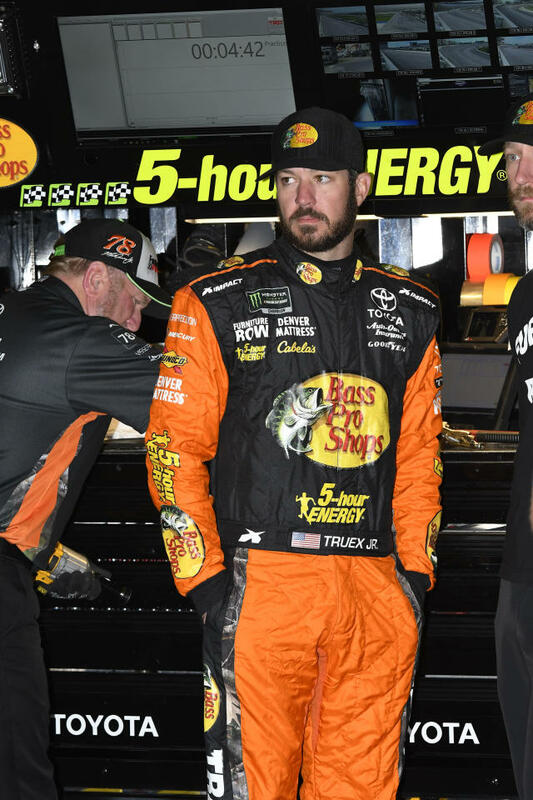 A member of the so-called Big Three that dominated NASCAR this season, Truex has four victories and goes to Phoenix this weekend in contention for a spot in the championship race. Only one of the three slots for the finale has been filled, and Truex is above the cutline to qualify for Homestead-Miami Speedway and a shot at defending his title. "I'm really excited to have the opportunity to join Joe Gibbs Racing," he said. "Obviously to be able to make this transition and still be able to work alongside Cole (Pearn) is something that was very important to me. There is also a real comfort level working with the JGR team and I wanted to stay in the Toyota family. "We still have big goals for the remainder of this season, but it's nice to know what we will be doing in 2019." Pearn was promoted from lead engineer to crew chief for the No. 78 team in 2015 and has guided the team to 17 wins. "I'm extremely proud of everything we've been able to accomplish over the past few years out of Denver and the move to JGR will make the transition for 2019 an easy one," he said. "It's a great organization with a lot of great people and a leadership team that wants to win." Suarez, meanwhile, is looking for a new job. The Mexican won the 2016 Xfinity Series title driving for Gibbs and two months later was unexpectedly promoted to the Cup Series when Carl Edwards walked away from NASCAR. Edwards' retirement put Toyota's long-term development plan in flux. Suarez had been expected to succeed Erik Jones at Furniture Row, where he'd been stashed by Gibbs in 2017 and was supposed to remain until a Gibbs seat opened. Then Suarez was expected to move into the second Furniture Row car while he waited for a Gibbs seat. Instead, Gibbs had to bring Suarez up early while Jones drove last season as Truex's teammate. Gibbs brought Jones in-house this season, but there was no room remaining for Suarez once Visser put his plans in motion. Suarez has 21 top-10 finishes and one pole in two seasons with JGR. He's currently ranked 20th in the Cup standings, the same place he finished last year. "We really appreciate everything Daniel has done for Joe Gibbs Racing over these past several years," Gibbs said. "He has made the most of every opportunity from winning the championship in the Xfinity Series to making the jump into the Cup Series for us. We look forward to hearing about his plans going forward and know he continues to have a bright future in our sport."